Most brake materials will stop (and release), eventually! Where will you be in 2014 ? The original Carbon-Kevlar high performance brakes are available for a wide range of racing and street vehicles, motorcycles, karts and snowmobiles. 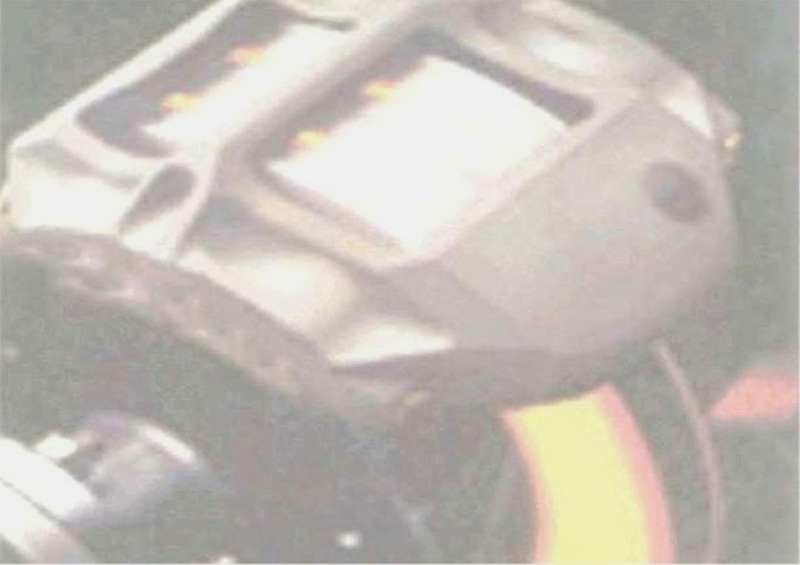 These brakes have been sold under various private label agreements for years, but compound choices have been limited by those purchasing departments. Because we are factory direct, we can offer a wide-range of their Carbon-Kevlar matrix compounds. With varying demands of the many racing circuits in the world, coupled with diverse vehicle types and driving styles, the truly competitive driver is faced with a variety of braking problems and thus solutions. With hundreds of different brake pad configurations, there is a KFP Magnum Pad for your needs. From current applications to those vintage racing vehicles others tend to neglect, KFP Magnum brakes have the performance edge!. After viewing the following compound information, if there are further questions regarding your particular application, then please contact our experienced technical personnel for help with your KFP selection. Quality KFP brake pads are made from the highest quality materials available. Their rigorous quality control follows each brake from the start of production to the finish grind, so that each pad performs identically. 2005 - Orange Color * Average coefficient of friction .650. Stable friction at all temperatures up to 1200 degrees F. Designed for light-weight open wheel or cars with very-good ducting. Requires less pedal effort. 2003 - Purple Color * Average coefficient of friction .500. Good stable friction at all temperatures up to 1200 degrees F. Popular with those who use a trail-braking driving technique, similar grip but a better wear rate than the P1101. P1101 - Red Color Average coefficient of friction .530. High torque with moderate wear, for use in applications where thermal saturation is low. For use when under 600 degrees F operating and under 1200 degrees F spiking. 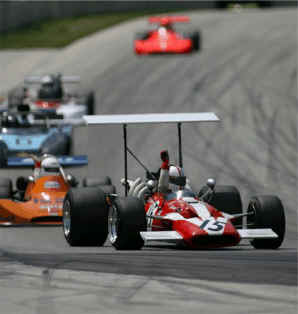 Popular for formula cars with large and/or vented brakes. Not for use on aluminum. P4211 - Blue Color Average coefficient of friction .490. Moderate torque with low wear rate. For use in applications where thermal saturation is low to moderate. For use when under 800 degrees F operating and under 1500 degrees F spiking. Common uses are rear applications for OEM based road race vehicles, vintage road-racing sport racers and open wheel cars plus small calipers on formula fords. Note; Materials from some brake pad manufactures (not KFP), are leaving a residue behind on the brake rotors. This has caused a reduction of braking forces, particularly when switching to a different manufacture or material. The solution has been to remove up to .010" from the face of each rotor. This will also provide a "like new" surface for your pads to work with. Don't let their material issues, keep you from the performance difference of KFP Magnum Brakes. High Temperature racing brake fluid? 1901 - Red Color * Average coefficient of friction .530. High torque with moderate wear, for use in applications where thermal saturation is low. Use when under 600 degrees F operating and under 1200 degrees F spiking. Not for use on aluminum. 1911 - Blue Color * Average coefficient of friction .490. Moderate torque with low wear rate. For use in applications where thermal saturation is low to moderate. Use when under 800 degrees F operating and under 1500 degrees F spiking. Popular choice for aluminum or stainless-steel brake rotors. 1942 - Gold Color * Average coefficient of friction .470. Moderate torque with low wear rate. For use in applications where thermal saturation is moderate to high. Use when over 450 degrees F operating. Has the broadest thermal zone of these materials. 1935 - Silver Color * Average coefficient of friction .380. Moderate torque, rotor friendly, high performance street material, which offers the fade free performance of a racing material. Does not cause the noise and rotor damage of a pure racing material when used cold. Recommended for arrive in your vehicle events, such as autocross and solo competition. Also an excellent sport utility and support vehicle material. For Auto Racing, Motorcycle, Kart, ATV, Snowmobile, Autocross or the Street, KFP Magnum brake compounds offer you a better choice.